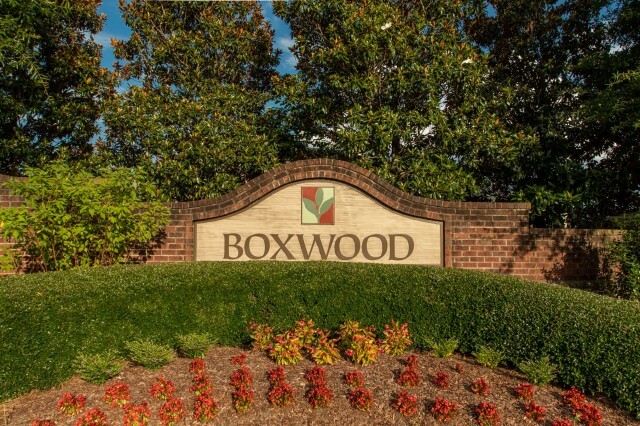 Boxwood is a tree-lined community with sidewalks and street lamps. Neighbors greeting one another during evening walks, front porches bristling with conversation and activity, and children playing in the park a few "yards" away... Beautiful homes with covered front porches and spacious floor plans with distinctive architectural details from the 2,000 sq. ft. to 3,300 sq. ft. Most homes feature rear or alley entry garages. Richly landscaped common areas, parks and private yards- all fully maintained.